The Robert J. Van Wart Award is given to an individual who has worked as a leader in a nonprofit or public human service organization for at least five years, and has consistently demonstrated leadership skills while helping their agency actualize its mission and improve the lives of those it serves. We are thrilled to announce that Janette Vigo, Vice-President of Residential Services, is receiving this honor from the Human Service Forum. For 19 years Janette has been positively impacting the lives of others. She began her career in human services in 2000, full of initiative and a desire to provide the best possible services to the people and programs she served. Throughout her career Janette has been recognized as a self-starter, committed to giving whatever is required of her to the programs she oversees. She has worked in a variety of positions, the experiences of each one contributing to the wealth of knowledge she brings to her work today. Janette started out at the Corporation for Public Management in Holyoke as a Job Developer. Because her ability to establish strong working relationships with local employers was recognized as exceptional, she was quickly promoted to a positon in the Welfare to Work program, in collaboration with the Department of Transitional Assistance. Starting with her first job, her employers have noticed her drive to go the extra mile in serving her community. In 2004, Janette went to work for the YWCA of Western Massachusetts, as a case manager for the Holyoke Teen Living Program, providing assistance for teen mothers and their children. Recognized as a compassionate and insightful leader who could move the program forward, she was promoted to Program Director and oversaw the residential programs in Holyoke and Springfield. Following that, in 2009, she became the Director of Shelter and Supportive Housing, overseeing all residential programs. In this position she was responsible for ensuring the success of two teen living programs, the domestic violence emergency shelter, and the substance abuse program for victims of domestic violence. In 2010, she added the newly constructed Supportive Housing Program for victims of domestic and sexual violence to her portfolio, the first of its kind in the state. Janette’s grit, determined leadership, and commitment to serving the community was widely recognized among her peers, and she modeled perseverance and resiliency for case managers and staff who provided direct services to survivors of violence. Her advocacy for domestic and sexual violence shelter programs was highly effective and, working tirelessly with her colleagues, increased the much-needed services available in our community. Jodi Smith, then Deputy Director of the YWCA, summarized Janette’s accomplishments and contributions, saying, Janette was instrumental in helping us to develop and open the supportive housing program and worked to ensure we were 100% leased in order to get tax credits. Under her management the property met full compliance for state and federal audits, and ensured we met the required goals. Janette also delivered the curriculum for staff training in domestic violence, which included the hotline for domestic and sexual violence. At the Teen Living Programs, Janette ensured licensing of the programs was a priority and met licensing standards for files and the physical plant with flying colors. Her strength as a Director earned her positive relationships with state funders and licensors. She was well respected for the way she ran the programs. Her capacity to model our standard of care for staff was one of her strengths. She made sure that interventions and responses were grounded in a trauma-informed model. She just got it! Time after time, Janette would make decisions that were aligned with our values of empowerment and respect. In 2013, Janette was looking for a new challenge and was hired as the Director of Residential Services at Way Finders. Janette quickly demonstrated she had the right stuff to lead the department through a period of change and growth and was promoted to Vice President of Residential Service within a year of being hired. Over the course of the past five years at Way Finders, Janette has worked diligently to develop and support the staff, and improve programming in order to provide the highest quality possible services to the 215 families who are participants in our programs. 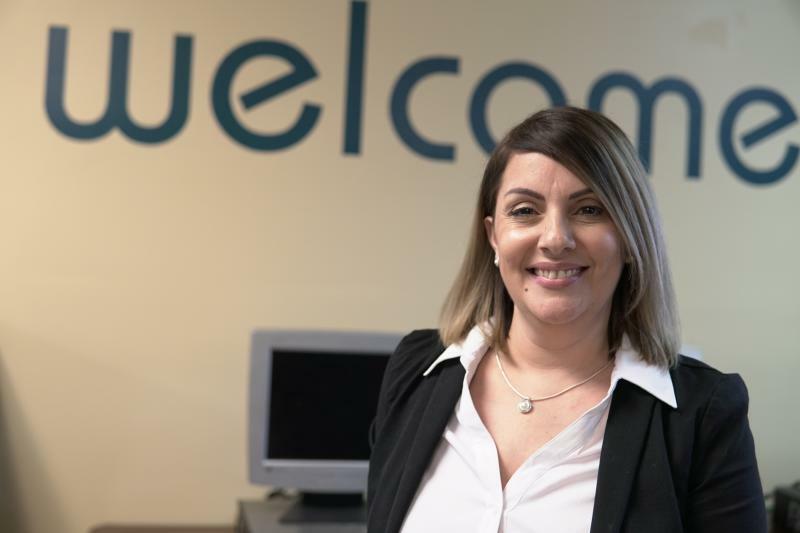 The programs she oversees in Housing Support Services range from Emergency Assistance Shelter for the region’s hundreds of homeless families to the Safe Step program for women fleeing domestic violence and to facility maintenance and program compliance. She is always ready, willing and able to take on a new challenge, has designed and implemented new policies and procedures, and facilitated implementation of new program models such as the Residential Resource Centers. Janette is humble with a capital H. She works day and night from the position of doing what is right – and she underestimates the profound impact she has, at many levels, in lives of hundreds of families each year. She’s a skilled and inspiring hands-on leader, invested in the success of her staff. She is respected by her colleagues at the local, regional, and state levels. Recognizing emotional demands and effects of human services work, Janette and her counterpart, Ashley Brehm, developed a staff development program that promotes fulfilling employment and includes weekly sessions to express gratitude and ensure self-care. Janette fosters positive communication, and immediate and thorough interventions when crises arise, and aligns all of the work she does with Way Finders’ mission and values, demonstrating compassion and a commitment to a strength-based approach to her work with families and staff. Another aspect of her strong belief in staff development is exemplified by her commitment to a cycle of training that includes the best practices of trauma-informed care, vicarious trauma, domestic violence, the development of a staff orientation program for every position in the department as well as shelter orientation program for families. The most recent example of why Janette is deserving of this award is her response to the needs of the families and individuals who fled Puerto Rico in the aftermath of Hurricane Maria, and came to Western Massachusetts seeking safe haven in the well-established and supportive communities in our area. Janette was instrumental in the start up and success of the Massachusetts Evacuee Transitional Assistance Reserve (METAR) program to assist the families who found themselves without a home or the means to secure one. As with all of her undertakings, her leadership and tenacity in directing METAR efforts was informed by her experience and knowledge, and no less by her fiery compassion and concern for the wellbeing of others and our community. As soon as it became clear that there would be a large number of people coming to the area needing housing, Janette sprang into action, first working with the area Family Resource Centers to provide housing information and resources to the evacuees. She took the lead in establishing METAR, working with the Massachusetts Emergency Management Agency and the Massachusetts Department of Housing and Community Development, to provide the funds needed for households to move out motels and establish their own tenancies in the communities of their choice. The program was literally created as it was being run, not unlike riding a bicycle while you are putting it together! During the time it took to hire and train new staff, Janette and the Director of Residential Resource Centers, Israel Ortiz, traveled to 15 hotels to assess over 200 households. This undertaking perfectly exemplifies Janette’s willingness to roll up her sleeves and address people’s critical needs – needs that many leaders across the state thought could not be met. As a result of the stunning effort of the team that was assembled to work on this initiative, over 100 households were housed in a six-month period. This is a highly commendable outcome – a truly amazing accomplishment. Ita Mullarkey, at DHCD, remarked on Janette’s effort, “I'll say it again...you rock!” A METAR Appreciation Event is planned for February 11th, this year, at DHCD in Boston to celebrate the hard work and incredible results of this re-housing effort. Congratulations Janette for receiving this great honor!